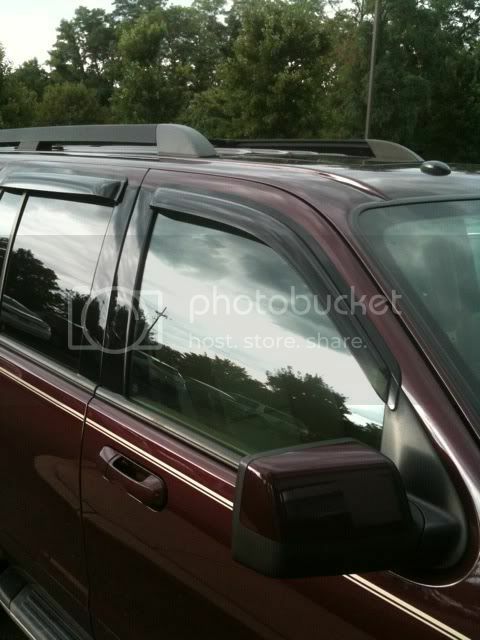 Discussion in '2001-2005 Explorer Sport Trac' started by interscope8, August 2, 2011. Hey everyone! I just ordered a bug deflector, and would like to get some ventvisors or whatever the general name is for them. I have one from Ford on my rear window, and thats a tape on. It has come off once before (fortunately in the drive way) so I was wondering what you guys think about the In Channel style ones. How likely is it those fall off? How do they look? Ect? Your talking about the in-channel wind deflectors for the door windows, right? I have had mine on my trac for about five or six years now with no problems. You need to use the alcohol wipes they give you in the pack and clean the felt where it sticks to and you'll need alot more of those wipes or something similair to really get it clean to have a good sticking surface. Get it in position the first time and push really hard to get it pressed against the felt, then roll the windows up and leave them up for about a day so it'll have full constant pressure to adhere. I just put the same set on my wife's '97 Mounty a couple months ago and haven't had any issues either. Just like painting, prep work is "key". +1 on midnightrebel's comments. i picked up the AVS ventvisors as well, have had them on about two years now, definitely use the alcohol pads and prep. i like the "in channel" look better, but i had the stick on exterior visors for my cherokee and never had any issues with them. i think the "in channel" looks a lot cleaner, almost factory. 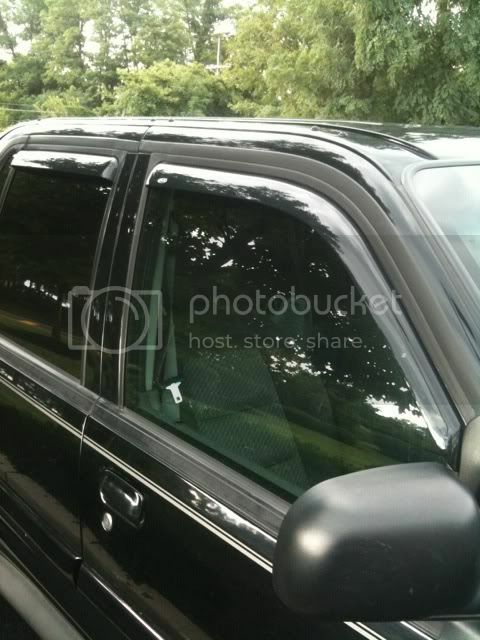 I have weather tech in-channel visors on my truck and they are really nice. Haven't had any issues with them.